Author: IUCN, UNDP, & GGCA. (2009). This manual was created by IUCN and UNDP, coordinating through the Global Gender and Climate Alliance (GGCA), in order to build the capacity at the global level of main decision makers working on climate change initiatives and policies to design and implement gender-responsive climate change strategies. 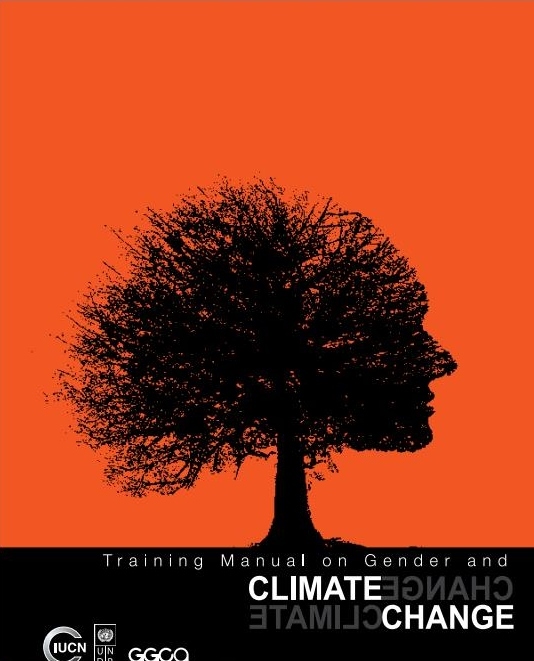 It includes an overview of the interconnectedness of gender and climate change as well as best practices and recommendations for developing gender-responsive initiatives with respect to climate change mitigation, adaptation, technical solutions, and financing.